The first organized revolt against the Royal Academy, The Pre-Raphaelite Brotherhood was a militant group. And the objects of its attack being on the hand, the dark and pretentious history picture and on the other trivial anecdotes. And, in particular, what the Brotherhood termed the “monkeyana” of Landseer. The remedy and the ideal was seen in a double aspect; as the “truth to nature” and as a return to the purity of art before the High Renaissance period. There were many possibilities of complication in this duality which were to appear the more complex because of the very different temperaments of the leaders of the movement, Dante Gabriel Rossetti (1828 – 1882), William Holman Hunt (1827 – 1910) and John Everett Millais (1829 – 1896). “Truth to nature”, a conception, which Constable had applied to landscape painting, suggested such a realism as might be gained in painting from nature. That is, in the open air. And indeed, for a while this was Pre-Raphaelite practice, showing in theory a certain correspondence with the aims of Realism and later of Impressionism in France. Yet, whereas French painters were mainly concerned with the great truth of light and atmospheric effect, the Pre-Raphaelites looked for it in minuteness and precision of detail. They differed also in devoting themselves to figure subjects in the main, with an ethical and narrative content. A further difference was the tendency encouraged by Rossetti. In particular, to look back sentimentally and nostalgically to the past, which took on dream-like attraction. Thus, instead of that beautifully logical development which produced the masterpieces of nineteenth century French art, England produced a strange, though potent mixture of enthusiasms in which painting took on several aspects. 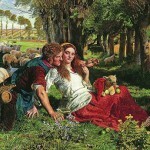 The great period of Pre-Raphaelite painting can be placed within the decade 1850 to 1860. Marked by intensity of feeling, a brilliance of color which banished brown and earth colors from the palette (as the Impressionists were to do), and tours de force of detailed execution. 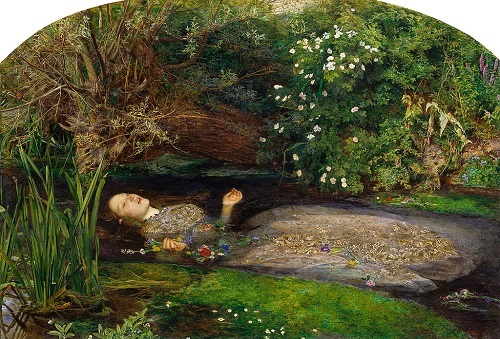 Millais as a young man produced a number of works of great beauty with religious and Shakespearean themes. 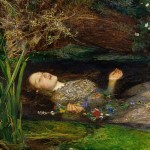 His “Ophelia”, 1852, with its almost photographically minute background painted on the Ewell River near Kingston-on-Thames and its figure portraying the beauty of Miss Siddal, remains a remarkable picture. Holman Hunt painted a masterpiece of its kind in “The Hireling Shepherd” of 1851 with a sunlit background of willows and cornfield which for a moment makes one think of Claude Monet. Rossetti, apart in his poetic medievalism, reached the highest point of his art in watercolors of an imaginary past and great emotional intensity. 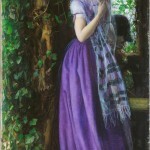 This Pre-Raphaelite period has never lost its enchantment. It is a sad aspect of the Pre-Raphaelite story that none of these painters lived up to their first promise and in various ways lost direction. The remark applies almost equally to Millais, Rossetti, and Hunt though the decline in each case was individual. The nostalgic element overcame the challenging realism. 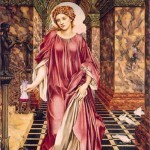 A second phase inspired by Rossetti and represented by William Morris and Edward Burne-Jones is mainly of note for a change of direction towards the crafts and the problem of providing a counter to the ugliness and soullessness of industrial production. 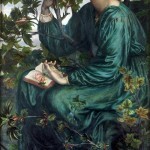 The delicate mannered painting of Burne-Jones is of less value than his collaboration with Morris in the arts of design. 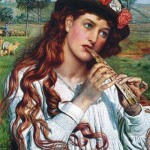 In this and in other ways Pre-Raphaelitism may be looked on as anti-Victorian.